The Essence Vampire's Love Eyeshadow Palette was a really good buy. 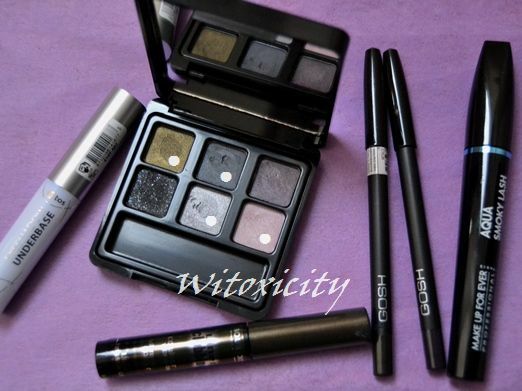 For less than €4, you get a good selection of shades that are perfect for creating smokey eyes and, pigmentation-wise, the shadows certainly don't disappoint. 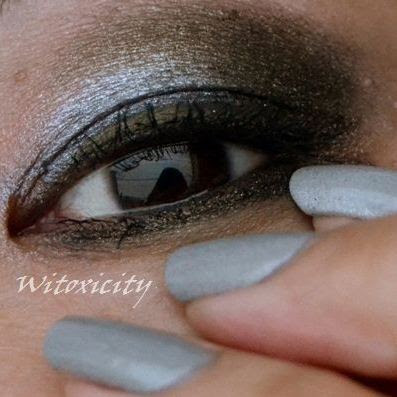 The eyeshadow shades used are indicated with dots on the palette: silver on entire lid, slate blue just above lash line, khaki green-brass in outer corner and crease, pale pink in inner corner and above khaki green-brass. 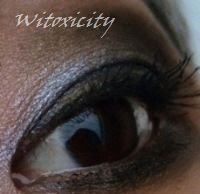 Eyelining for top lid: Bronze Dance Floor along lash line and Black Ink for tightlining. 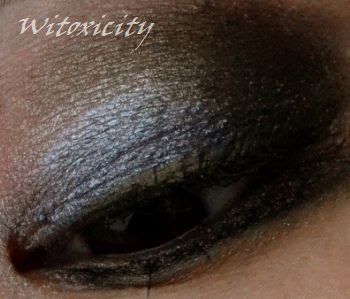 Eyelining for lower lid: smudged-out Metallic Brass along almost the whole lash line and khaki green/brass eyeshadow over it. Here, I'm wearing the The Dawn Is Broken nail polish which also belongs to the Vampire's Love collection. Close-ups of this polish will be coming up in the next post. 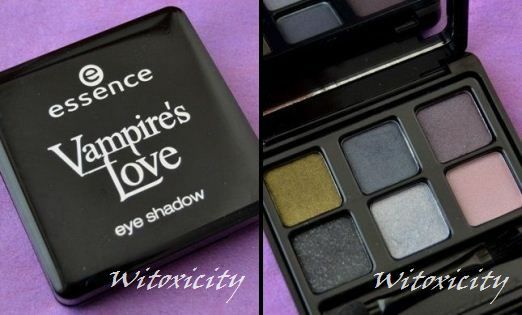 For swatches and more details on this eyeshadow palette (including the first smokey eye look), please see my review of the Vampire's Love Eyeshadow Palette. I love the colors in it! You always do great looks!